The Brick Castle: The Reward Box Giveaway (choose either Fairy or Pirate themed). The Reward Box Giveaway (choose either Fairy or Pirate themed). 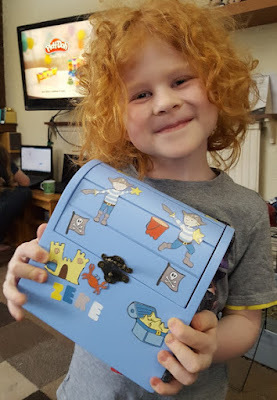 It is easy to see just how proud my 6 year old is with his personalised Reward Box, and now I have a chance for one of my readers to win one of their very own. The winner will have the choice of either the Fairy Cottage or the Pirate Chest theme. 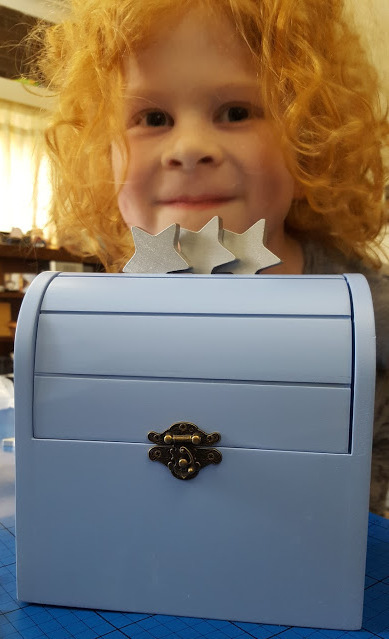 Each Reward Box comes with an organza drawstring bag containing 20 silver painted wooden stars and 2 sheets of personalisation stickers - themed and letters. 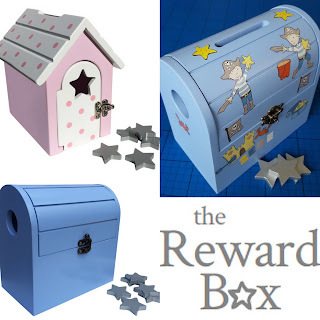 The Reward Box is lovely quality, with an excellent finish to the wood, and very attractive paint and detail. 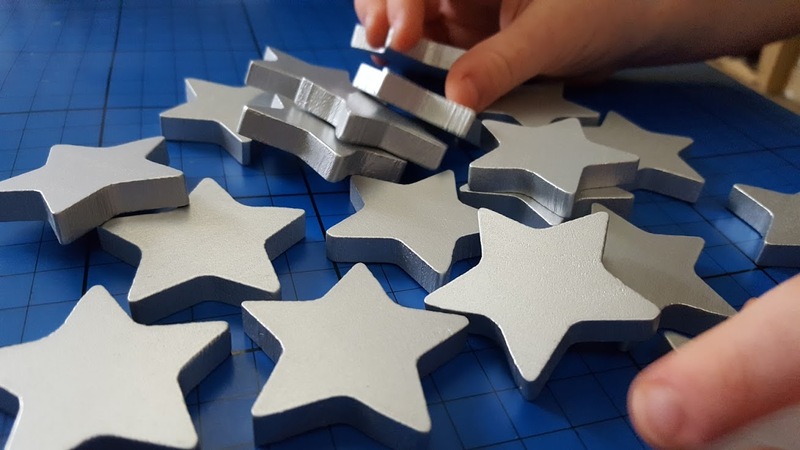 It can be used over and over again to reward good behaviour and let your child save up their stars for a treat! My son has taken a real shine to his and has carried it around the house since we got it. His stars are mainly for being thoughtful about others and being gentle with our animals, and he's really remembering to be calmer. He hasn't even asked what his treat might be yet, he is happy enough with the stars! The Reward Box have very kindly offered my readers a 20% discount on Reward Boxes if you order before May 31st 2016. You can find out more on my Reward Box Review page. The Reward Box have kindly offered a reward box of your choice (either Pirate or Fairy themed) as a giveaway prize. Entry to the giveaway is by Gleam form below. If you are new to Gleam then more information, as well as my other giveaways, can be found on my giveaways page. The giveaway is open to UK entrants only and will end at midnight Sunday 15th May after which no further entries will be accepted. Full terms and conditions appear on the Gleam form. A nice glass of rose in the evening! A glass, or two, of wine! Wine!!!! and a big bar of chocolate! A little trip to the pub for a couple of Budweisers! I usually treat myself to some new stationery or chocolate. I treat myself to a large glass of Merlot and a long hot bath with Lush bath bombs. A new book for my Kindle. Some time to relax and do a bit of crafting. I go to a cafe in town and spend an hour engrossed in a book with a nice latte! I love to treat myself to a good book, a hot chocolate with cream and marshmallows and a slice of cake......mmmmm! Unfortunately I reward myself with chocolate, and far too often! Chocolate and a trashy magazine - if only I had time to read it in peace! an early night or some nice food! A big glass of wine! Sit down and do a cryptic crossword or a Sudoku puzzle. Turn off my mobile and just relax watching some good TV or a film. Chocolate or a glass of wine! Dark chocolate or cloudy cider. Chocolate and a nice bubble bath ! A nice bottle of wine or some new shoes! I don't tend to reward myself as a rule. Vietnamese Street Food at Pho with the family. The 1000th Post On The Brick Castle. 20 Months After Losing Elspeth.